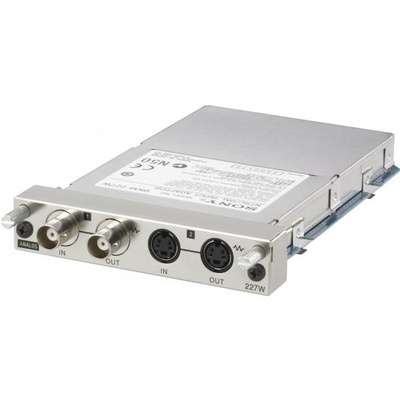 Product #16927 | SKU BKM227W | 0.0 (no ratings yet) Thanks for your rating! Composite and Y/C (S-Video) inputs. The Sony BKM-227W is an optional input adapter for the LMD-2140 Sony monitor. It provides Composite and Y/C (S-Video) inputs.